Author: Weitzman, David Set In . . .
On October 27, 1904, the first section of the most famous subway system in the world was opened for business. 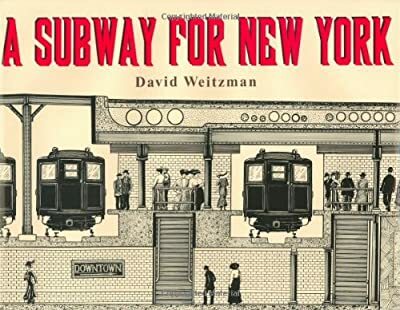 Thousands of passengers paid the nickel fare to experience what it was like to ride beneath Broadway and other traffic-clogged city streets from lower Manhattan to the Upper West Side. Here is the story of the daring and demanding construction project that made it possible for the city’s first “straphangers” to travel miles in minutes. In a lively fact-filled text and incredibly detailed pictures, gifted technical artist David Weitzman brings the mechanics of this incredible public works project to life and captures the can-do spirit of engineers and workers. This is a book for any fan of trains, tunnels, and tracks.